In my dazed and jet-lagged stupor yesterday afternoon, I flipped through a recent issue of Vanity Fair in a desperate attempt to stay awake until a bedtime-worthy hour. 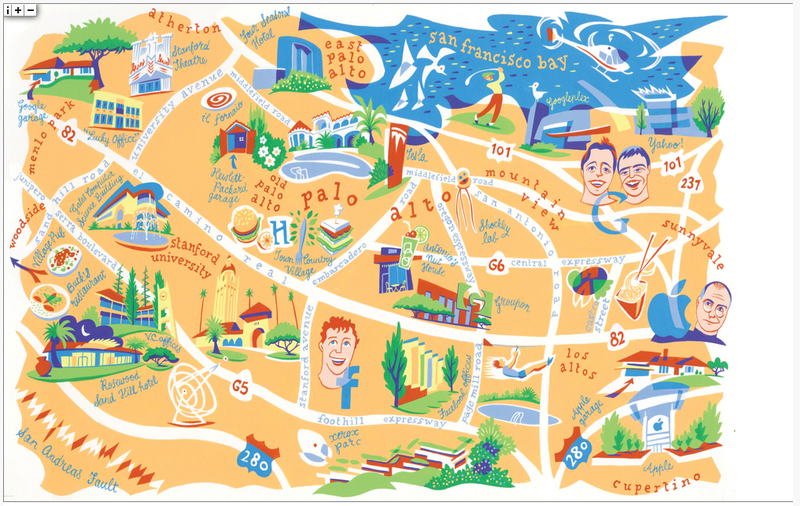 They had a fun little graphic of my hometown, replete with the silicon valley hotspots (the online version has a full list). Somehow they forgot my house. And Alpine Inn!